2012 was an interesting year. As the year began I was entering the second half of my Fellowship at Carnegie Mellon University. I played geobachelor daddy for a couple months to allow the spouse to accept a new job while I took care of the kids. In April, a shipmate was killed in Afghanistan. We even moved to a new location and I started another job (within the Navy). Put 12% of my base salary toward retirement. Maxed out annual IRA contribution. Maintained Zero credit card debt; rearranged credit cards to maximize reward benefits. Enjoyed more time with my kids. As compared to 2011 when I was deployed. Ran two marathons. The Pittsburgh Marathon and the Marine Corps Marathon. Ran the latter to raise money for St. Judes (Charity). Started this Blog. I know, you’re jealous! Went on two big trips. I enjoyed attending CES for the first time and a solo trip home to visit family. Invested further in a grown-up wardrobe. Millenium Falcon diagram T-shirts only go so far…although these awesome Millenium Falcon Cufflinks might have to be a part of this new wardrobe. Read several books. Check out these great reads! Completed 5 academic classes. Through National Defense University, they were CIO 2.0 Roles and Responsibilities, Enterprise Information Security and Risk Management, Information Assurance and Critical Infrastructure Protection, Cyber Security for Information Leaders, and Measuring Results of Organizational Performance. Discovered how education is evolving! Do you know what MOOCs are? I’m putting together my 2013 goals now to ensure I have much to strive for! 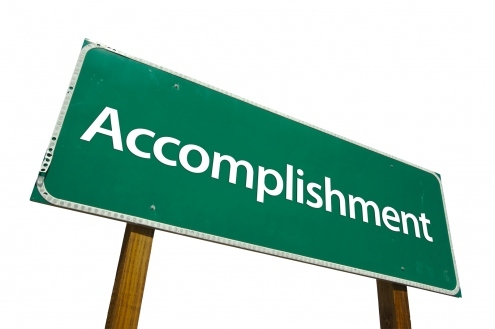 What did you enjoy accomplishing? What are your goals this year?